Hi, Hi,Hi dear crafty friends. Sorry I have been MIA. But I am back! I have been doing a little crafting here and there and well today I wanted to share a card I recently created for the Pazzles craft room. Have you ever wanted to send a special someone a note just to say hi? Well here’s a card I created that would fit that bill. 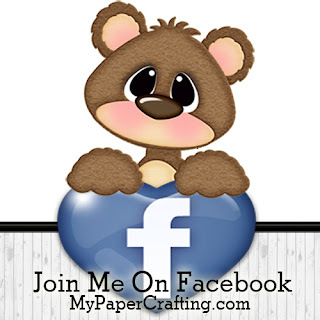 I started by using the hi floral card file set I created exclusively for the Pazzles Craft Room. I used the DCWV Bouquet de Fleur Stack for all the patterned papers. I cut my flowers out in white cardstock. I wanted to give the card a clean look. I added some silver sequins and little pearls to the centers of the flowers. I cut my bird pieces out of plain white paper. I then used my silver cat’s eye ink to ink the bird lightly. This gave the die cut a little color and shimmer without too much color. I then turned to my pen tool and used my silver stardust gelly roll pen and used it to draw my two letters. In the software you have the ability to “fill in” the letters by using the “engraving” function. I was able to “color in” the letters and then cut them out, easy peasy. I then simply added the flowers and layered all my pieces. I added a sweet bow with some pretty May Arts organza ribbon to finish off the look. It came together very well and will make the perfect little “hi” for my dear friend. Don’t forget to head over to the Pazzles craft room and check out all the wonderful projects the other designers have made. Plus you can join the craft room too!!! Until the next time, have a wonderfully crafty day! Really pretty card. So glad you're back to share all this crafty goodness with us.